Kolkata-born and raised Mini Dhingra speaks with Leah about why she left a career as a business analyst to start a food company making small-batch artisanal samosas. 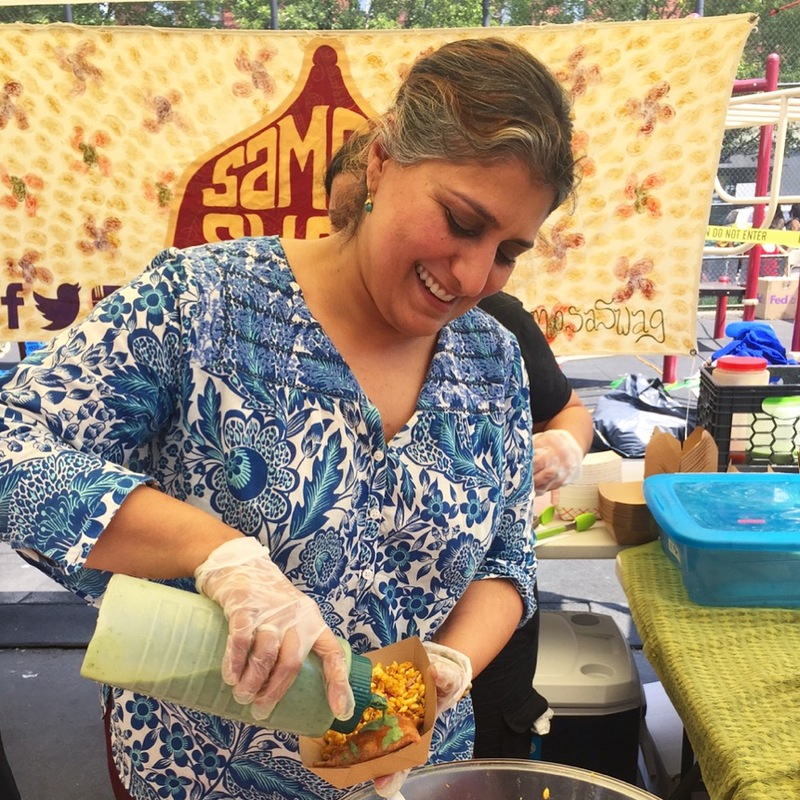 Since launching four years ago as a small booth at a local farmers market, Samosa Shack has become a source of community for Dhingra and a way to make deeper connections with her Indian identity through food. Dhingra talks about the unorthodox way she blends traditional Indian recipes with seasonal Hudson Valley produce, why she’s often an oddity at farmers markets and vegan food events where she sets up shop, and what it feels like for her to be an Indian immigrant woman raising a daughter in today’s political climate.